You are using an unsupported browser and are seeing the mobile view of the website. Please use the latest version of Chrome, Safari or Firefox to view the site. Built by Tech. Connected by Community. 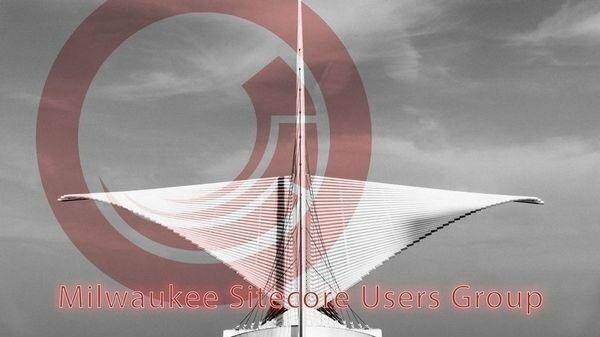 Join the MKE Tech Hub movement. 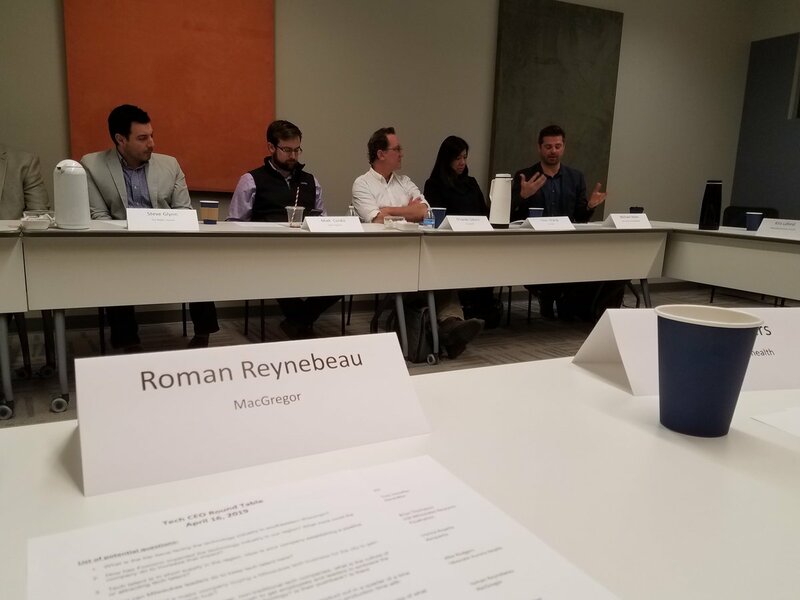 Connect to people and organizations who share a passion to transform southeast Wisconsin into a thriving, innovation-based economy where technology, entrepreneurship and innovation are core to our success. Collectively, our goal is to build a vibrant tech ecosystem and culture that makes people want to live and work here. Over 500 people attended Tech Hub Summit 2018, a clear sign that exciting things are happening in MKE's tech ecosystem. Premier event to learn about opportunities with blockchain and connect with like-minded people. The buzz surrounding 5G and its implications for businesses around the world can't be ignored. We are featuring our incredible judges. 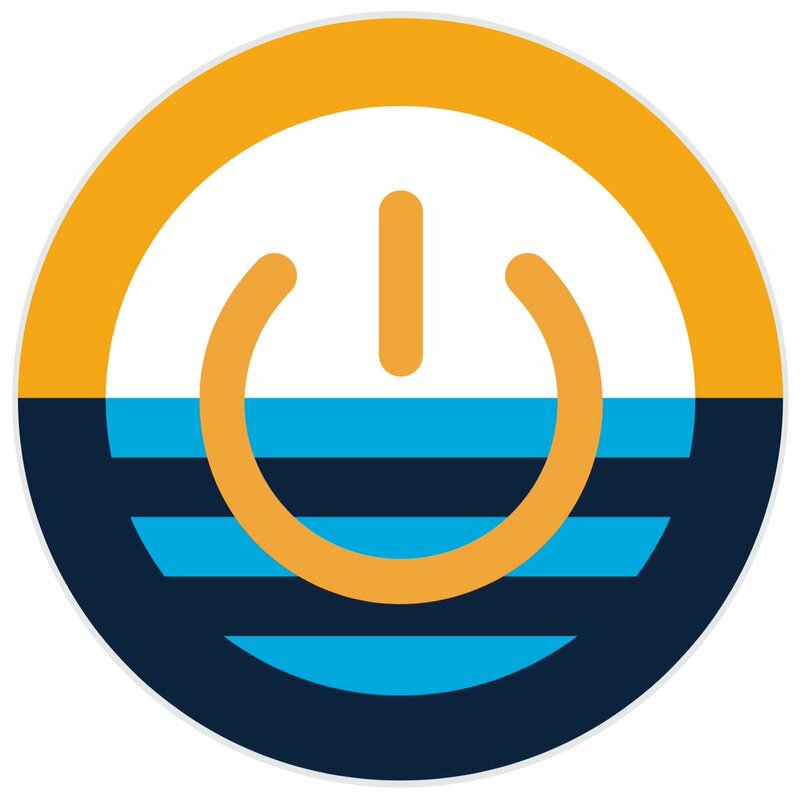 The support they are providing will make our inaugural Hack-a-Pipeline possible. 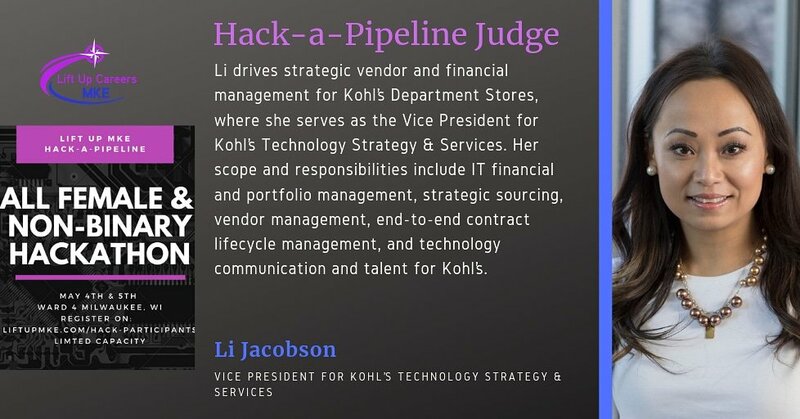 Meet our judge Li Jacobson. We are featuring our incredible judges. The support they are providing will make our inaugural Hack-a-Pipeline possible. 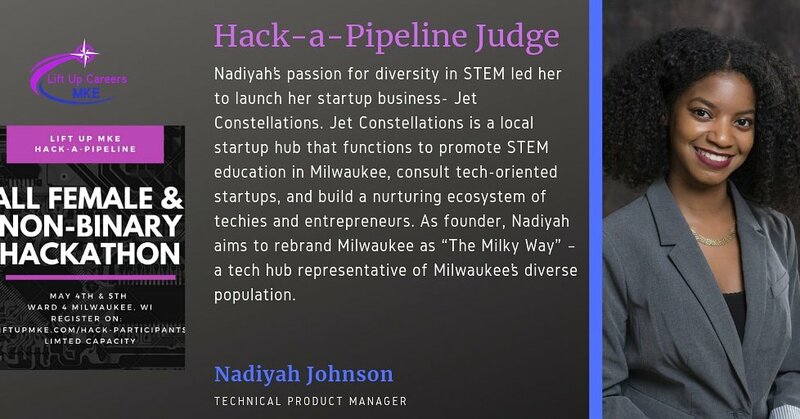 Meet our judge Nadiyah Johnson. We are featuring our incredible judges. The support they are providing will make our inaugural Hack-a-Pipeline possible. 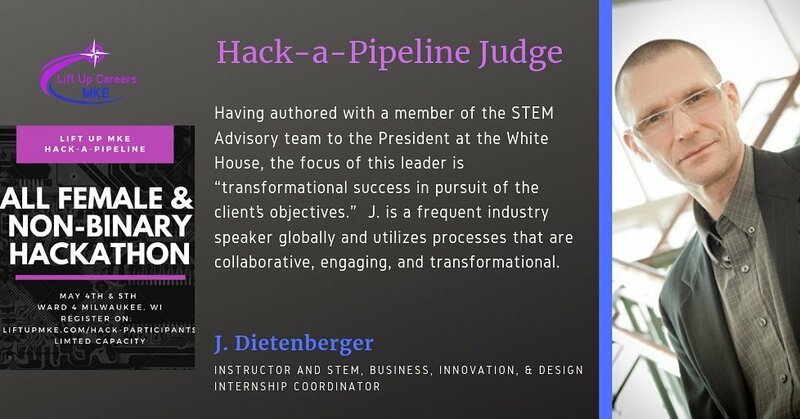 Meet our judge J. Dietenberger. We are featuring our incredible judges. The support they are providing will make our inaugural Hack-a-Pipeline possible. 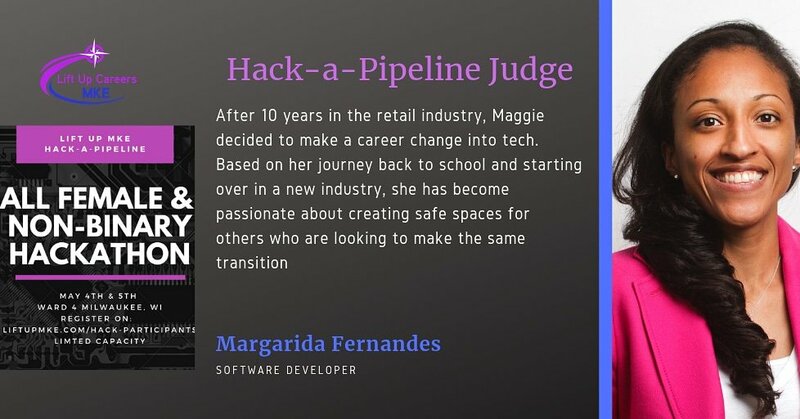 Meet our judge Margarida Fernandes. New study ranks MKE as the 4th best city for new college grads. MKE has risen in the ranks for the 3rd straight year. The study cites our low unemployment rate, affordability of housing and opportunities for fun outside of work. Thank you @AnitaB_org for recognizing the need for midcareer women in tech. Get women in, keep women in, encourage women to return, and promote women into leadership. What issues do we need to focus on for the #MKEtech community to continue to grow, evolve, and thrive?